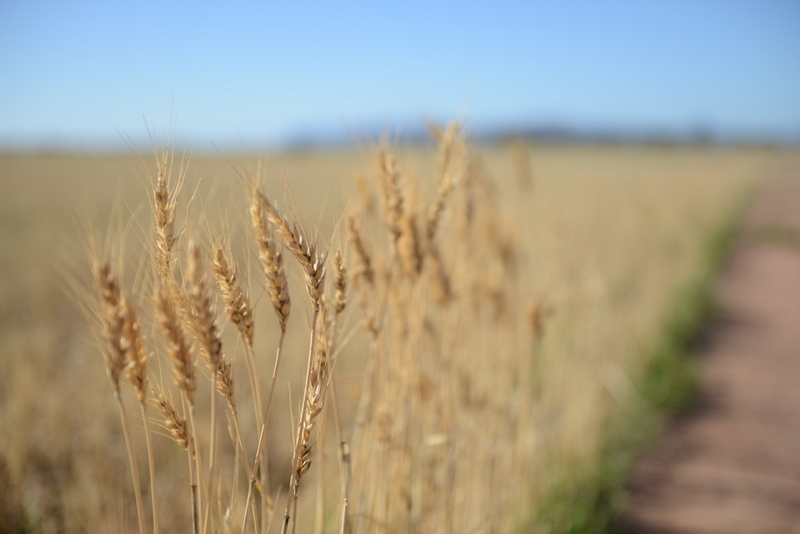 We choose to be grain growers for many reasons. We expect to make good returns and grow our business in the long term. Climate change is one of the many factors influencing us achieving our goals. We need to understand how climate variability impacts on our enterprise, and manage this impact to maintain economic sustainability. The northern property, Sheep Hills, is the largest and is [husband] Simon’s family’s farm. 3 years ago  we increased the size of it when we bought the neighbours’ property at Wallup. Now we have 2400 hectares there. When Simon and I returned from Melbourne to Horsham 20 years ago, we bought Comely Banks, which is 600 hectares just south-east of town on St Helens Plains. It has heavier soils than the family property and receives more-reliable rainfall. Long-term averages are 400 mm at the family farm and 450 mm at Comely Banks – although, over the last 3 decades, actual averages have been lower. Because of the difference in soil and rainfall, we get different production results. There are subtle differences in the way we manage the properties, such as a larger nitrogen-application program on the southern farm in expectation of higher and more-reliable rainfall. The climate in this area is probably more variable than it was 30-40 years ago. Back in Simon’s father’s day, this was such a reliable area for rainfall and you’d get consistent spring rain most years. We are really dependent on spring rain. September and October are the ‘money months’ for us, because if it rains in those months we can expect much better yields than if it doesn’t. Now, our spring rainfall is less reliable. Last year  we had a very good autumn break to commence seeding and the crop established well. However, it stopped raining after July. Although we ended up with a poor crop, it was viable to harvest or bale most paddocks. Our changed techniques and better use of moisture allowed us to do that. 30 years ago, we would not have harvested anything in a year such as that one. A key focus is maximising the water-use efficiency of our crops to achieve the highest level of production in a season. One of the long-term climate change issues for us is predictions for more summer rain. The last 2 years [2014, 2013] we had no summer rain, but at the start of 2015 we had 3 inches [76 mm]. It means we need to control weeds to retain the moisture, but the moisture will be really helpful come sowing. It may mean we grow a higher value crop, such as canola or lentils, depending on rotations and rainfall until then. To make sure we take advantage of the 3 inches of rainfall we had in January , we are spraying our paddocks so weeds don’t use the stored moisture. We consider our sprayer the most important piece of machinery on our farm. Partly for risk-management reasons, we have returned to the practice of leaving approximately 10 per cent of our rotation to fallow. Historically this would have been done using cultivation, but we now use chemical controls. One of the benefits of this practice is that these fallow paddocks will have higher levels of stored moisture for crops to use during the growing season. Over the last 5 years [2011-15] we have increased the amount of hay crops that we grow during the growing season. It’s become a profitable break crop. It also helps with long-term weed control, because weed seeds are collected within the hay bales or cut before weed seeds set. We measure soil moisture rather than relying on gut feel. I think there is a lot to be gained by making decisions based on data. This year  we’re going to install 2 soil-moisture probes with weather stations attached. We’ll install one at both properties. They will give us real-time information on how much rain has fallen, so we know how much moisture our crop is getting and how quickly the crop is using that stored moisture. It’s not new technology but, certainly for us, it’s the next step of making sure we know exactly what we have so we can maximise how we use it and manage our inputs better. 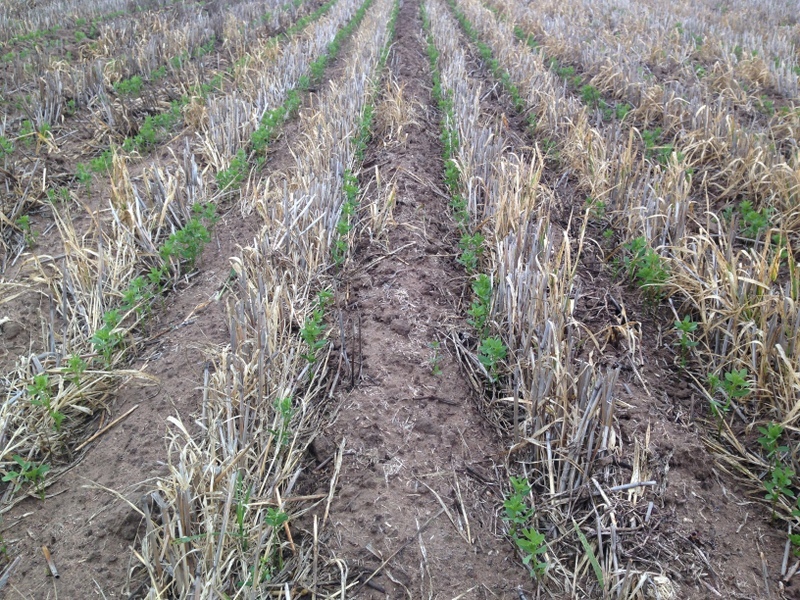 I’ve found that planting field peas reduces my fertiliser costs. I am now purchasing half the urea I used to 3 years ago by using crop rotations. This has not only helped my wheat crops, but also my canola. This is the first year  that I’ve planted canola onto field pea stubble. Canola is a very hungry crop for nitrogen. I still need to use some fertiliser but not to the same extent I used to. For example, in previous years, I’ve applied upwards of 200 kilograms per hectare of urea. Last year , this crop had only 70 kilograms of urea. The organic matter left behind by the pea crop supplied all the other nitrogen. The added benefit is that peas take moisture from a shallower level of the soil, meaning a canola crop can still access the deeper subsoil moisture. I used to put canola onto wheat stubble, and then I’d have to water it. The main trigger point for growing canola is being able to establish that crop in April and having an adequate bank of moisture at that point in the season. For example, if I had a dry soil profile in April, I wouldn’t plant canola. I need to have subsoil moisture for canola to grow. We saw how Simon Wallwork [fellow MCV Climate Champion participant] had success with soil-moisture probes when we visited his farm in Western Australia as part of the Climate Champion workshop in 2013. That gave us confidence to purchase them, because they aren’t cheap. We still plan to extensively soil-test our paddocks for moisture and nutrition so we know exactly what’s there. Nitrogen is one of our biggest expenses. You don’t want to put it on your crop without getting a return on it. Until 10 years ago, we always sowed our crop with the same amount of fertiliser – what was deemed to be ‘the amount’ needed to grow that crop. We’d sow the crop after the first break with what now seems like a high amount of fertiliser. The crop would come out of the ground with a bang and grow aggressively for much of the season. But during the late 1990s and 2000s, we often hit dry or hot periods during the spring. The plants were fertilised to achieve high yields but would hay off [ripen early] due to a lack of moisture. This reduced our grain yield, quality and, ultimately, our financial returns. We now measure nutrient levels with a plan to start with low fertiliser rates and feed the crop as needed throughout the growing season. Soil tests and modelling software such as Yield Prophet® help us achieve realistic yields for the season’s rainfall without applying excessive levels of fertiliser. 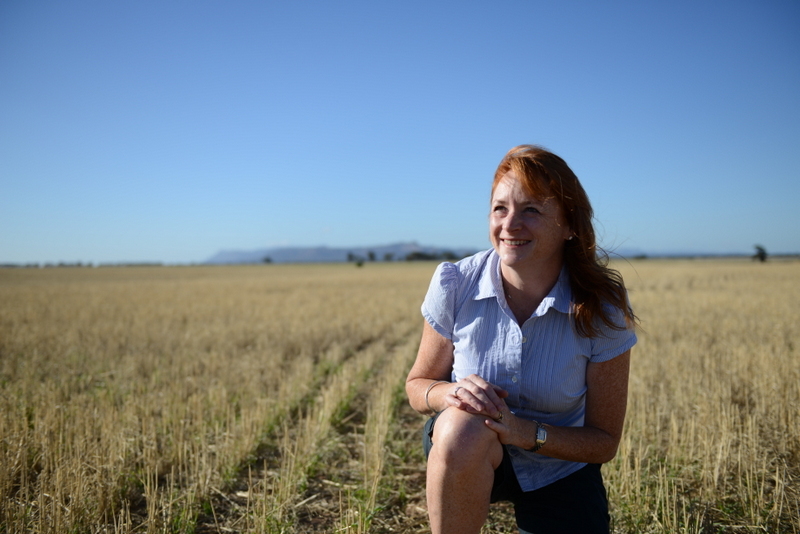 Like most farmers, we look to new grain varieties to help us maximise farm performance. Over the last 10 years, we have generally shifted to shorter season varieties to improve yields in dry seasons. We have refined this process, and now we’re prepared to change our program depending on summer rainfall and the timing of the break. We’re aiming to reduce risk and maximise returns. We’re also starting to plant earlier than we ever have before, to try to get the crops out of the ground when we know there’s going to be a break. We run the risk at the other end of the season with frost. But with a good early break, we will swing back to using longer season varieties to minimise that frost risk, and increase yield if we get spring rains. Our agronomic strategy is to know exactly where we are at the start of each season before we put the crop in. We’re continually getting smarter about the things we can control – what mix of crops we put in and what nutrients we apply to maximise our productivity. Working with what we can control lets us mitigate negative impacts from things we can’t control, such as rainfall and temperature. We aim to retain soil moisture, keep our soils healthy and build organic-matter levels. Stubble retention and no-till help us do that. 15 years ago, we used to mulch stubbles and cultivate to control summer weeds. Now we use a knife point press wheel system with 25-centimetre row spacing to sow the crop with minimum soil disturbance. 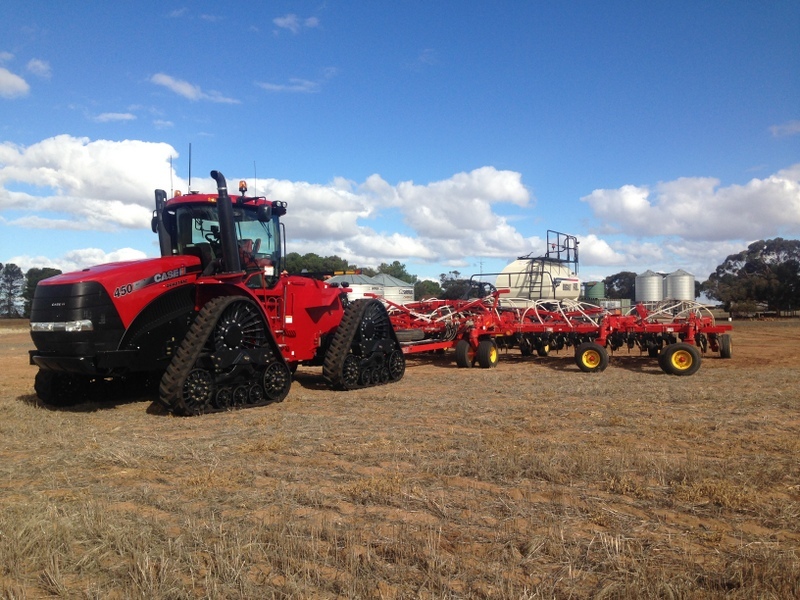 We upgraded our seeding equipment in 2014 to be more precise with seed placement and maximise early crop development. Improvements in auto-steer technology allowed us to narrow our row spacing, which helps to reduce competition from weeds and limits moisture evaporation from the soil. 2009 was our first year of inter-row sowing, which uses advanced GPS systems to guide seeders to sow seeds between the past year’s standing stubble; for example, sowing lentils between wheat stubble. The stubble provides a natural trellis for the lentils to climb, which assists plant growth and makes the lentils easier to harvest. The standing stubble also reduces moisture evaporation from the soil. This is all about increasing production while maintaining a strong focus on costs. One of the big issues in this region is that we don’t have reliable real-time radar coverage from the Bureau of Meteorology. It is something that farmers in this area are crying out for. There is no 128-kilometre radar coverage for our area. It would be more accurate than the 512-kilometre radar stations in Mildura, Mount Gambier, Adelaide and Melbourne – and we’re on the outer limits of radar for all those. This means our short-term rainfall forecasting is unreliable and we can’t see when it’s going to rain here, making tasks such as timely spraying and in-crop fertilising more challenging. As a recent example, we top-dressed cereal crops with nitrogen which required 5 mm of rain to be washed into the soil for plant uptake. This was based on forecasts of a significant rainfall event. The rain didn’t eventuate and much of the nitrogen fertiliser was wasted. Many other farmers in the Wimmera had a similar negative outcome. Reliable, real-time radar would enable us to see rain fronts forming and approaching us. Our in-field weather stations will help ground truth what little rainfall warning we get, but we do need more accurate radar. 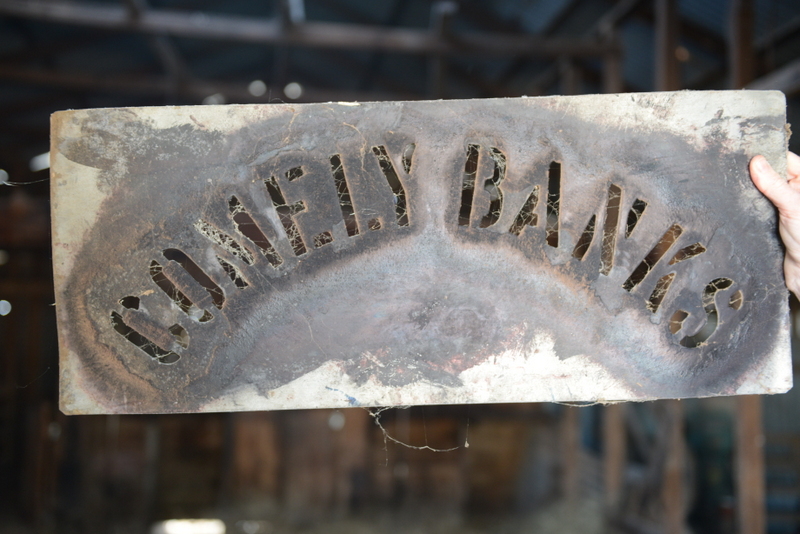 Comely Banks is the smaller of Susan and her husband’s 2 properties but receives the most rainfall, and more reliably. 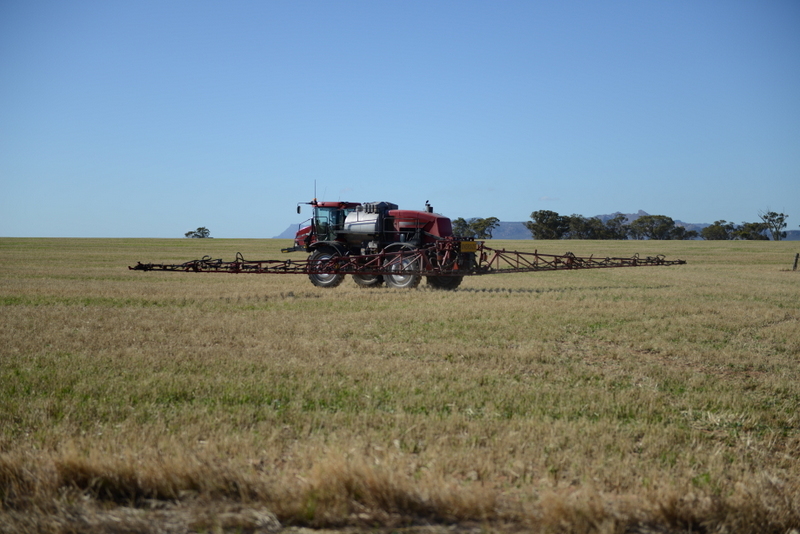 Susan regards the sprayer as the most important piece of machinery on her farm for helping crops retain moisture. Growing shorter season varieties can help take advantage of stored moisture in the soil, and allows Susan to start sowing earlier.